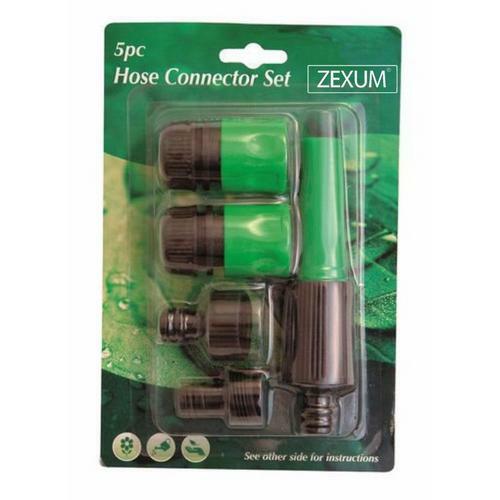 Zexums 5 Piece Hose Connector Set is an essential for any gardener or outdoor cleaning professional to get the best out of their outdoor plumming . This 5 piece set comes with the most popular connectors, ideal to get you started. The set also comes with a 1/2 hose repair connector to fix any damage to hoses. This set includes adapters to allow the user to connect one hose to another. The spray nozzle ensures a wider range of water distributions allowing you to wash cars, water plants and keeping cool in the summer.